We recently caught up with “5 feet”, an all-girls dance troupe from North East India. 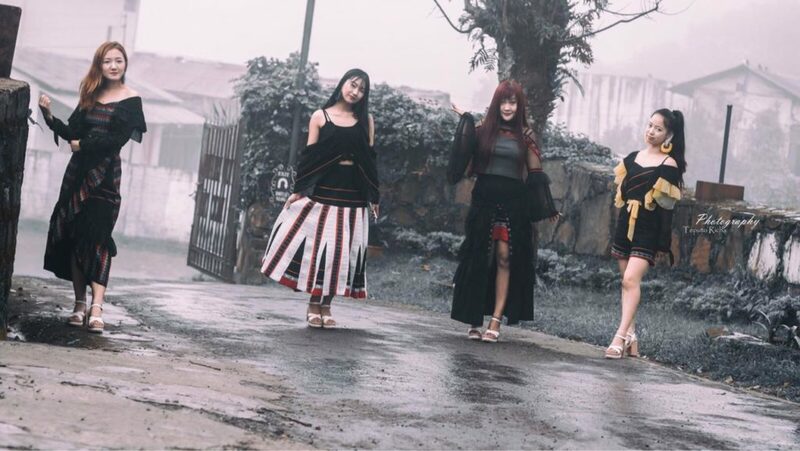 Comprising of four ladies from Arunachal, Mizoram and Manipur, all four have separate full time work and engagements, but dance is a common passion that led them to each other – and performances across the country and beyond. Having won awards across dance categories, participating in India’s Got Talent, and representing India at the India-Korea Sarang festival. These 4 have taken their passion to serious new heights indeed! Today, we chat with them to know more about their passion for dance and their performances across the world. A chat with the group,”5feet” from the north-east of India comprising of four charming and talented ladies. They talk to us about how the band got together, their passion for dance and what they do when not on stage! 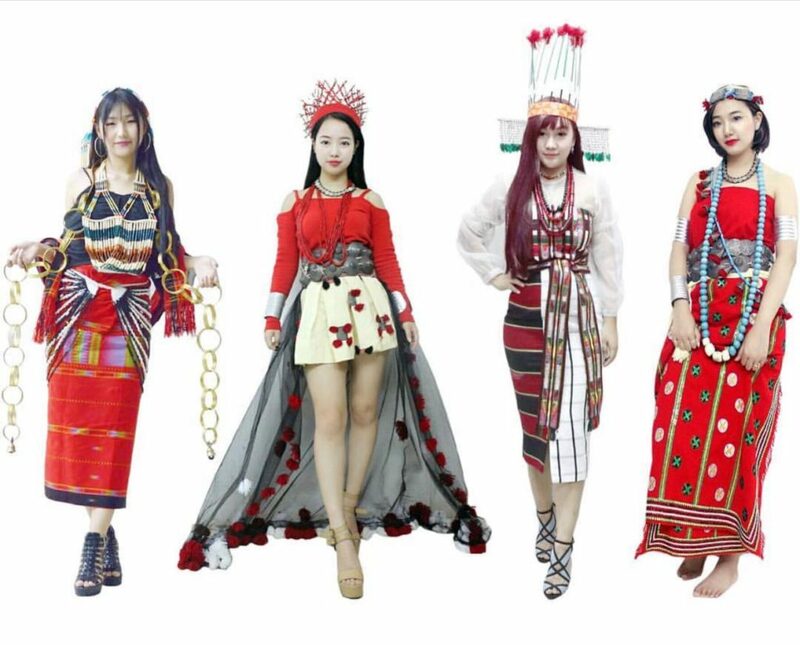 5feet group wearing @easternlight’s design of modern ethnic tangkhul attire (L-R) Pimpi, Veronica, Jacinta and Yayam. Hello girls, good to have you here! Please introduce us to your lovely group “5feet”. Jacinta Lalawmpuii is the leader from Aizawl, Mizoram. She is currently at her hometown pursuing further studies for civil servuces. Veronica Awungshi (mascot) is from Manipur, but currently residing in New Delhi. She is a Youtuber, as well as pursing her master degree. Pimpi Tachang (visual) is from Arunachal Pradesh and currently living in Delhi pursuing brand management at Pearl academy. How did you guys get together and when did it all start? The group was started by Jacinta who always dreamed of having an all girl group. So, the K-pop contest in India organised by the Korean Cultural centre was a great platform to start with, also to achieve the dreams of going to Korea as a winner. Jess searched for friends who are passionate about dancing and that’s where she met Yayam from the same college in DU. So, initially Jess and Yayam bought a huge miror from Munirka market in Delhi and started practicing meanwhile searching for other members. It was way back in 2014 when Jess and Yayam first posted their dance videos on Instagram and got people’s attention. So they later held an audition and that was how Pimpi and Veronica joined the team. 5feet ladies proudly wearing their own traditional clothing. 5feet ladies proudly wearing their own traditional clothing (L-R) Veronica, Yayam, Jacinta and Pimpi. How did you guys come up with the name,”5feet” and where do you draw inspirations from? 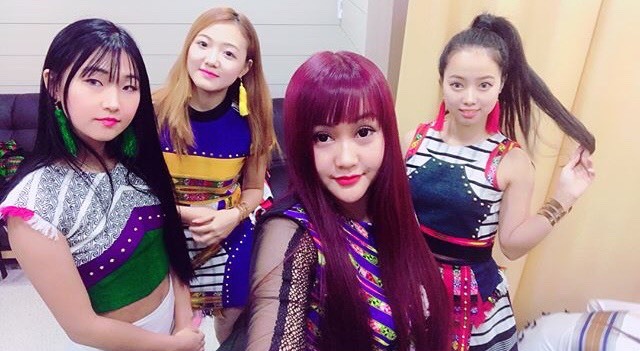 It was while prepping for K-pop contest, Jacinta came up with the name, “5feet” since it was five of them initially when the group was formed. 5feet as in five pairs of united feet. Now, the group has four members but we stick with the name. And our inspiration definitely comes from the K-pop culture and western music as well. How has your roots and upbringing influenced your work or working style? We hustle and work hard for the passion of doing what we love. We all belong to the North-East states of India and we tribals are known for the hard work we put in whatever we do. So whether it is in groups or individually, we practice as much as we can. We represented India, specially the North-East at Sarang festival held at South Korea, where we wore our traditional attire to spread awareness about our northeast culture, dance and music. Indeed, music is an art that truly brings people together! How often do you practice and get ready to take on the stage? For events and performances, we usually practice everyday for at least a week. But there are times when we had to practice just one day and perform the next day. It was possible because of the extra efforts each individual contributed that made the group perform well, despite the limited time we had for practice. Tell us about your most unforgettable performance. 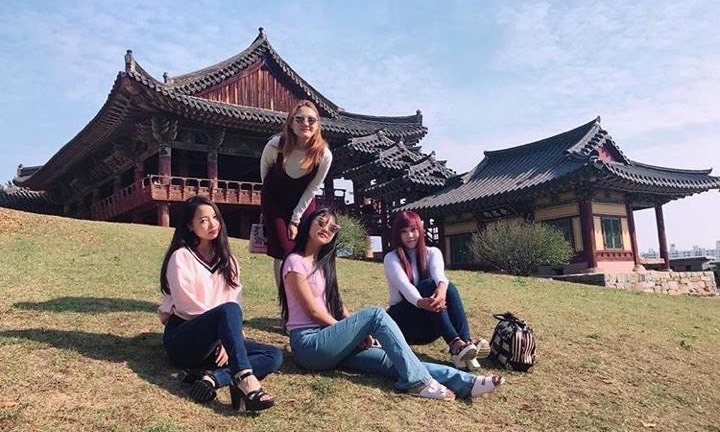 Particularly for the group, the most unforgettable performance so far would be the opportunity we received to perform at the KBS hall, South Korea; where celebrities and K-pop stars usually had their performances there. Music core was also happening right next to our hall. To perform at a broadcasting station was really a dream come true and indeed a memorable one. 5feet’s dance performance at KBS hall, South Korea. Tell us about your latest performance and upcoming project. Here’s 5feet’s first Music Video of their original “TAP TAP”. Show some love and subscribe to their Youtube channel, also follow them on Instagram for all the updates about the group.